14 Jan WE WON THE WEDDING IDEAS AWARDS. 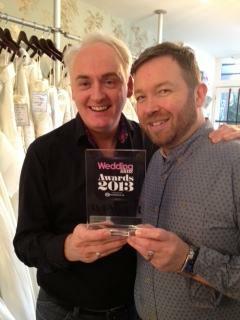 A wedding shop in Southsea has picked up a prestigious award for the second time. 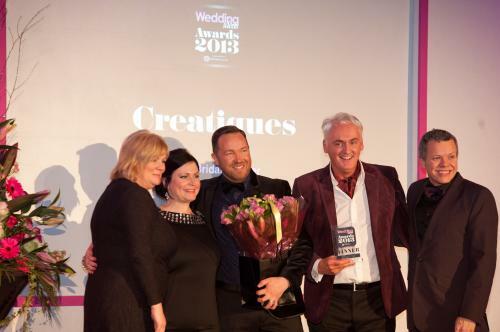 Creatiques of Marmion Road took the title of ‘Retailer of the Year” in the competition held by Wedding Ideas Magazine. They accepted their prize at a ceremony held in The Tower Hotel in London on Friday evening. Brides voted online for their favourite retailer and Creatiques came top in their category. This is the second time that they have won this award being a previous winner in 2011. The new shop is in Old Portsmouth and will be officially open to the public on the 24th January and is already fully booked with appointments for the first day. To get a VIP invitation to the preview opening on the 23rd January, please contact Rob or Andrew on 023 92 826622. More information can be found at the website on www.creatiques.co.uk.